Our iconic yoga halter is now available in a gorgeous white dotted print! 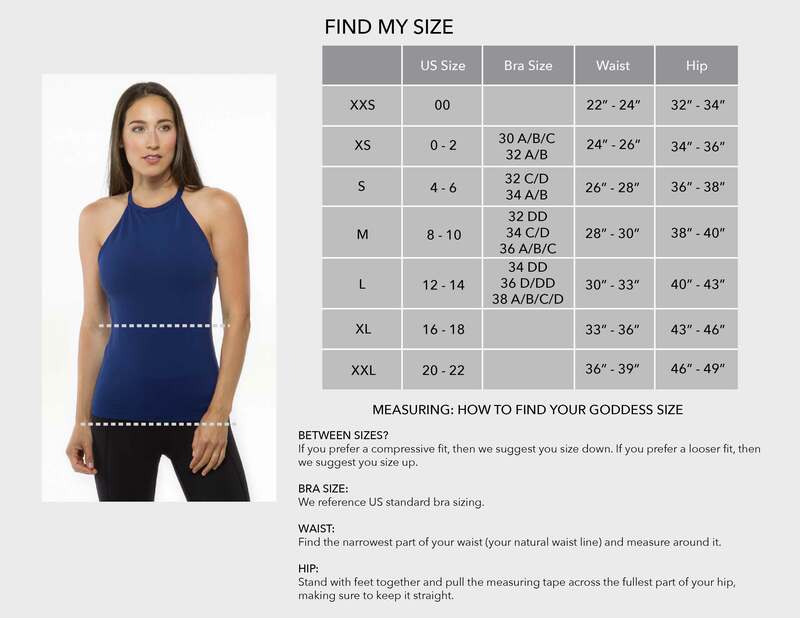 This luscious fabric is made with a blend of luxurious, high performance moisture-wicking fabrics and body contouring details to flatter every gorgeous figure with a smoothing and supportive fit. Size Medium is 25" from High-Point Shoulder. Other sizes are graded. Also available in Black Beauty Rose, Etched Floral, Ruby, Black and White. The Grace Yoga Halter in White Dot Print is the perfect inversion halter for performance, coverage, and compression. Our signature PowerLuxe fabric is a luscious, midweight Poly/Spandex that is highly compressive, moisture-wicking, and durable. Featuring a brushed interior, it feels creamy and soft to the skin, but it has the power to take care of you if you know what we mean! Our print pieces are distinctive, gorgeous and unrepeatable, just like you. Due to its unique design, please note that pattern placement may vary.